Munnar's mesmerising greenery, mountain scenery, calmness and cool refreshing air attracts honeymooners and tourists throughout the year. It is a weekend hideout location for domestic tourists during summer season. 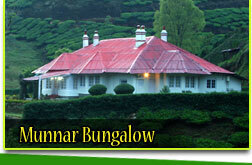 Watch the spectacular beauty of Tea Gardens. Enjoy the nature, where the cloud turns into mist, which may touch you with a romantic feeling. The Cab will stop many of the places on the way to enjoy the beautiful nature. Check into the Hotel and refreshment taking rest. After Break Fast 09:30am Proceeding to MUNNAR Sightseeing. On the way Visit- 1). Honey Bee Tree 2). Photo Point 3). Mattupetty Dam- (15minits Boat Trip in this Dam) 4). Echo- Point 5). Shooting Point 6). Kundale Lake. Coming back to town, LUNCH Break – Proceeding to Coimbatore Direction. On the way visit- 1). Nayamakkad Waterfalls 2). Anaimudy View ( South India Highest peak – 8841 feet from sea level= 2695 meters). 3). Eravikulam National Park- RAJAMALA-. Evening by 05:30Pm coming back to Hotel. Day 3rd - After Break fast 09:30am check out from the hotel. With lot of memories, Friendship & Thousands of Photograph. The Cab Will Drop you at Cochin ( Ernakulam ) Railway Station / Airport. Visit, Pothenmedu View Point, Blossem Park Evening by 05:30Pm coming back to Hotel. 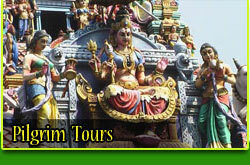 On the way visit DEVIKULAM (An enchanting Hill station, Power House Waterfalls). Day 4th - After Break fast 09:30am check out from the hotel. With lot of memories, Friendship & Thousands of Photograph. The Cab Will Drop you at Cochin ( Ernakulam ) Railway Station / Airport. After Break Fast 09:30am Proceeding to THEKKADY. Thekkady is famous for the Periyar Wildlife Sanctuary. The Periyar Wildlife Sanctuary is one of the best places for viewing wild animals. The best time to visit animals is during the months of March, April and May. Thekkady offers facilities for Trekking, elephant riding and boating. Boating through the Placid Lake provides a rare opportunity to watch wild animals at close quarters. This plantation town is situated on the Town in the Evning and Shopping is possible in the spice market of these spicy lands. Check into the Hotel then refreshment, as per you wish visit Thekkady Spice Market/ Shopping. After Break fast 09:30am Proceeding to Cochin. JEWISH SYNAGOGUE (Built in 1568 AD. Closed on Saturdays & Jewish Holidays). CHINESE FISHING NETS (The Chinese Fishing Nets that, line the sea-front and exhibit a method of catching fish, introduced by Chinese traders). Day 5th - After Break fast 09:30am check out from the hotel. With lot of memories, Friendship & Thousands of Photograph. 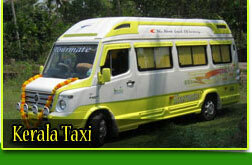 The Cab Will Drop you at Cochin ( Ernakulam ) Railway Station / Airport.